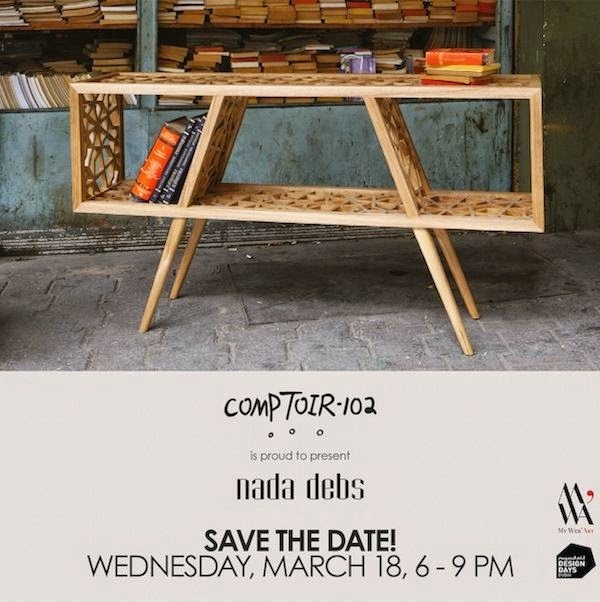 Design pioneer, Nada Debs will be hosting an exciting launch event to showcase an exclusive collection of her iconic pieces and never before seen furniture and home accessories at design concept store, Comptoir 102. This year, Debs celebrates the extraordinary 10-year journey of her international furniture and home accessory brand.Following the formative years of her artistic career where the focus was to combine Middle Eastern craft and modern design, Nada Debs will progress into an even more minimalistic and clean design aesthetic continuing forward. Comptoir 102 is the perfect synergy to Nada Debs' novel direction where interiors are synonymous with contemporary living.Her pieces seamlessly tie into the signature identity of the story-telling concept store. Venue : 102 Jumeirah Road, Dubai, UAE.